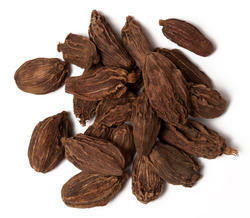 - The Indian name for Black Cardamom is Badi Elaichi or Kali Elaichi. Roughly 2.5 to 3 cm in length, Badi Elaichi pods are dark brown to black in color and have a tough, dried, wrinkly skin. We are a unique entity in the industry, actively committed to providing a qualitative range of Black Cardamom. Being a leading firm in this industry, we are deeply engaged in offering a high-quality range of Big Cardamom. In line with clients' diverse requirements, we are involved in providing optimum quality Black Cardamom. 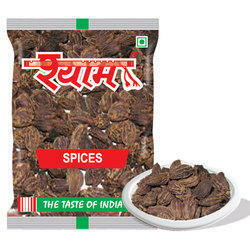 Relying on our expertise in this domain, we are into offering Black cardamom. We have carved a niche amongst the most trusted names in this business, engaged in offering a comprehensive range of Black Cardamom.